Home » Bengal Cat Behavior » How To Cat Urine – Ultimate Guide To Getting Rid Of Cat Urine Smell Permanently! How To Cat Urine: The Ultimate Guide To Getting Rid Of Cat Urine Smell Permanently! 1 How To Cat Urine: The Ultimate Guide To Getting Rid Of Cat Urine Smell Permanently! My Story By Dukey. I was the perfect cat. No accidents. I used the little box faithfully. Despite being a boy, I never sprayed. I would even use the litter box on command! And then one day my mom disappeared. She almost died and was in the hospital for two weeks because her bowel perforated. Since she was suddenly gone, I kind of freaked. I thought she died and was never coming back. I missed her so much that I thought I would mix her smell and my smell by peeing on everything. I peed on the bed, the couch, her clothes, her desk, her work chair, the carpet, plastic storage bins, laundry baskets. Everywhere I smelled her, I urinated on it as a tribute. And I was mad she left me. At the same time the neighbors across the street with a mean cat moved in next door. He would come over the fence to my patio sliding glass door and hiss or growl at me. But I showed him! I peed by all of the doors so he knew the house was my territory. Since I am a Bengal, I even opened the the door to the hall coat closet and urinated in there. Just in case the other cat made it into the house and needed to know who owned the closet. When mom got back from the hospital for 6 weeks of bed rest after her surgery, first thing she did was get rid of all of the cat urine smell I had left everywhere. She eliminated my pee smell so well that I went back to using my potty box and stopped urinating on everything. Mostly. I still have the occasional “accident on purpose” when I fight with my sister Cheddar or the mean cat visits. The Science behind The cat Urine Smell – You Can Get Rid OF Cat Urine Smell- Eliminate it permanently once you know the secret! One thing to remember is that while human bacteria is sterile, cat urine is not. Cat urine smell stems from the ammonia in the urea being broken down by the bacteria. 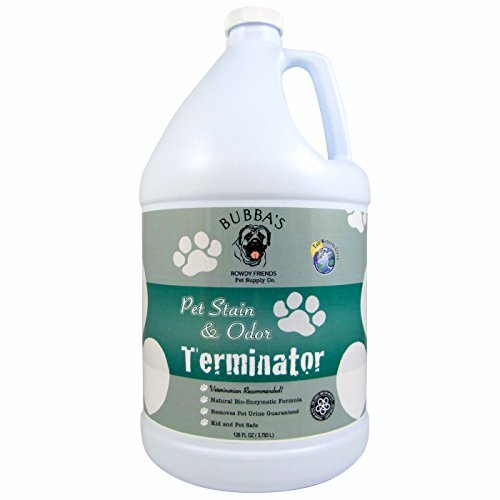 Neutralize the bacteria, you eliminate or get rid of the cat urine smell forever. It is important to clean up cat urine because the same chemical reaction the urine goes though when the bacteria breaks down the urea is the same compound, thiols, that give a skunk it’s potent smell. Here’s the secret behind the science, It’s not the cat urine, It’s the degrading of the urine that is causing the smell. Eliminate the ability to degrade, you eliminate the smell! Any variation or mix of the ingredients above. They might temporarily make the area or item smell better but they are not strong enough to stop the bacteria from having a chemical reaction to the Urea. They will work on the water soluble ingredients only, which is why, to your human nose it smells better, for a while. But trust me, to your cat who’s nose has 80 million smell receptors to human’s 5 million, they can still smell the urine is there and they can and will re-mark the spot. Using a concoction of household cleaners only works on half the urine, and not the half that smells! It is the breaking down of the urea by the bacteria as the urine dries that is causing the urine smell and only by using enzymes that eat the bacteria can you stop this process. Think about it. Every water treatment plant in the world uses what? Enzymes. They use enzymes to break down the waste back into safe water before it is released. The thiols that are the byproduct of the urea being broken down by the bacteria, that make up the base of cat urine and skunk smell, can be neutralized by adding an enzyme. Well, if we need to get rid of bacteria, can I just treat it with bleach? That’s a great question! There is a reason why water treatment plants treat with an enzyme PRIOR to using a bleaching agent. They don’t want to fill your city with a noxious, sickening, chlorine cloud and kill all of the citizens. It’s bad for business. While bleach does kill bacteria in general, pouring bleach directly onto urine will create dangerous chlorine fumes and unless you are attempting to turn your house and lungs into a nuclear waste site, NEVER, EVER, EVER TRY TO CLEAN UP CAT URINE WITH BLEACH. What to know a fun science fact about the uric acid in cat pee? The half life is 6 years which means it you don’t treat it with a GOOD enzymatic product you will be smelling that cat urine at some level for up to 12 years after a cat pees if left untreated. If you break a mirror you only have to put up with the consequences for 7 years. Although neither seem pleasant. Some are better than others. You get what you pay for although there is a way to get a good deal. If you head down to your local Wal-Mart or Target and try to buy a enzymatic cleaner, you will be wasting your money. The brands they carry will not work as well as a high quality brand with more enzyme and you will have to make multiple applications in order to get enough enzyme on the urine to fully dissolve the uric acid. This will end up costing you more in the end not only in money but also time and aggravation. In this case Quality doesn’t cost, it pays! If you head down to your local big box pet store like Petco or Petsmart, you can find better products but you will overpay by half at least. You must POUR the enzymatic cleaner on the area to saturate or soak the urine spot and allow it to air dry naturally. It is crucial to saturate AND allow the enzyme cleaner to air dry. It takes time to break down the uric acid into the gasses so the smell can evaporate. If you blot the stain after you pour the enzymatic cleaner on, then you are removing the enzymes and not allowing them to work. The same thing is true of the convenient spray bottles that you might be tempted to buy your product in. Spraying only covers the surface of the stain. You need to saturate the urine stain with the cleaner in order to have enough enzyme to work. It’s a lot like putting a band aid on a cut when you are bleeding from an artery. Spraying is better than nothing but it is not going to permanently fix the problem. The companies who make their products in spray bottles know this. But they also know consumers buy convenience and easy. They are giving you what you want, but not what you need. Also, if you don’t smell the urine because you’ve sprayed the surface but the cat does because underneath it still smells and the cat re-marks, you’ll buy more spray. It’s cheaper and better to buy in larger sizes because you will be soaking, not spraying. A professional carpet cleaning company would be HAPPY to treat the spot for you at a cost of approximately 15.00 per stain. It’s a huge upsell. But they are using the SAME products you can buy on Amazon.com, just re-labeled for professional use and they are surface spraying NOT saturating so it will smell good when they leave but the urine smell will return and was never gone for your cat, whose nose it better than yours. Many of them also spray prior to shampooing so they extract all of the enzyme instead of letting it dry naturally, giving the enzyme time to break down the uric acid into evaporating gasses. Having a carpet company treat your cat urine smell is an expensive, temporary fix. Notice that I am NOT recommending Nature’s Miracle, which I have tried. Despite being a best seller at the big box pet stores, in my opinion, the products that I am recommending below are better at completely getting rid of urine smell. In addition, Nature’s Miracle doesn’t brag about being made in the USA leading me to believe that they are importing from China or a third world nation s most lower price cat urine products are. I don’t mind buying from opther countries. My cats eat kibble imported from Italy. It is amazing cat kibble. But if I can buy a better product, that works and support a small family owned business without a third world factory involved that’s what I am going to do. I am recommending to you what I personally know, and use works! I am not relying on hype or marketing in my recommendations, I am relying on what I have personally used to get rid of cat urine smell. If you came to my house and didn’t see my Bengal cats, you would never know that I had cats in the house. I have zero cat odors. I have fairly serious allergies and asthma. I have to take three antihistamines daily to breathe. I took twice weekly allergy shots for five years to no avail. i am super sensitive to smell, perfumey, urine, citrus, all of it. So not having a choking reaction to the smell of the product also figures into my recommendations below. What good is the product if takes away the urine smell but makes you break out in hives or have an asthma attack? In full disclosure, if you click on any of the links below, the product will be placed in an Amazon.com shopping cart where you can view it, see reviews and get more information. if you decide to purchase a product I recommend by clicking the images below to put in a shopping cart, I will earn a very small advertising amount. That is how I afford to pay for this very expensive website and provide you with the information you need to get rid of the urine smell problem you have. I hope to save you time and money with these recommendations and to solve your cat urine smell problem. I hope in return you help will keep this website on the web by supporting it. I’m not getting rich here, just keeping the information out there by paying the website hosting fees. If you find this guide valuable and helpful, especially the specific cleaning steps below, we are asking for your help by adding the items to your cart here. Thank you in advance for your support of Dukey the Bengal cat and Ultimate Guide To Getting Rid Of Cat Urine Smell Permanently! Advanced Pet Supplies Odor & Stain Eliminator – Cleans Accidents in a Hurry Without Dangerous Ingredients That Can Make Pets Sick – Advanced Bio-Enzyme Cat & Dog Urine Pee Smell Remover Carpet Cleaner This is my number two go to product for eliminating urine smell and preventing new marking! Non-toxic. Safe for kids and pets! Does not give me an allergic reaction like other products. This is $10. dollars a gallon cheaper than the brand above and the same one a professional carpet cleaner will use charging you up to $15. per spot to treat. I list both because I want to give you a choice and you might prefer one brand’s fragrance over another. This is the product that I personally buy and use. I have used both, they both work GREAT but this on is just cheaper for the same quality. I also like supporting small business and this is a great company, started by a pharmacist who noticed that most of the urine eliminating product were being made in China. I also use this product on my teenage daughter’s volleyball shoes and knee pads which stink worse than cat pee… almost. That girl can sweat! Less expensive than other brands for a the same quality or better. Works on other smelly things, and cleans stains like coffee as well! In my opinion outperforms any other product and costs less. There are other products out there, I have tried them all, these are the two best hands down terms of price and quality. Notice I am recommending you buy the products in gallon size only! If you read the specific cleaning instructions below you will see that I only recommend spay bottles for cleaning laminate flooring. you probably have a spray bottle at home you can use to fill if you really are committed to that method of use or need to clean laminate. Buying in the gallon size is cost effective and you have product on hand should you need it. If you buy in a spray bottle you are just paying a lot more for… a spray bottle. Save your money and buy an empty one at the dollar store instead or use one you already have. If you smell urine, but don’t know where it is, you’ll need a black light. I sent my son to buy my first black light from a big box company for $20. it was a piece of cr** and he had to return it. it was too small to work. My family room is 21 x 23. Remember that I was just home from surgery for a bowel perforation. 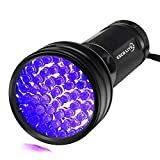 I needed a larger black light that was effective to find Dukey’s urine spot’s because I wasn’t up for crawling on the floor with a small black light for 6 hours to try and find the stains. I needed to find and treat them quickly because I was on complete best rest. And since Dukey had marked everywhere he smelled my scent, he had peed in every room of the house. So I bought this one from Amazon and was pleased. Want to have some gross fun? Take this with you next time you stay in a hotel. You can check your bed for bedbugs and other things before you sleep in it. Unless you would rather not know… Personally, I would rather the hotel have to give me a fresh bedspread’s and blankets if needed. They change the sheets between guest but not so much the covers so I pop this bad boy into the suitcase. 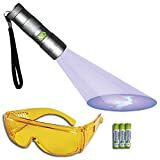 Light yellow not cheap DARK yellow lenses aid in finding the urine spots fast. 1. Blot up as much of the wet urine as you can. Using folded paper towels or bath towels work great, especially if you stand on them. Using you body weight as pressure keeps you out of the smell zone and helps you apply a good amount of pressure. Continue to move or replace the blotting cloth until it is dry when you stand in it. Just like a trees root’s typically extend under the surface for 4 feet beyond the longest branch, the urine runs under the surface in a wider area than the top of the urine marking. So blot wider than the circumference of the top of the stain for approximately 4 inches beyond the border of the wet area on all sides. 2. Soak the affected area with the enzyme cleaner extending beyond the original wet area by two inches. 3. Let the enzyme cleaner sit for 20 minutes. 4. Blot up the enzyme cleaner but don’t over blot. It should still feel moist. An upside down laundry basket. An upside down cookie sheet – not flat, the type with raised edges. The upside down lid of a storage bin. Anything that loosely covers so people don’t step on it or the cat does not re-mark the spot while the enzymes do their work. 6. Leave the enzyme cleaner to air dry. 7. When the area is COMPLETELY dry, then you can clean your item as usual if you desire, it will not be required though. For best results, wait to call the carpet cleaner until after everything dries. Soak the affected area with the enzyme cleaner extending beyond the original wet area by two inches. Let the enzyme cleaner sit for 20 minutes. Blot up the enzyme cleaner but don’t over blot. It should still feel WET not moist. 3. Leave the enzyme cleaner to air dry. 4. When completely dry, smell the area. Gross, I know. Sorry. If there is even the faintest hint of smell do the process again. Some old stains take more than one treatment to remove due to the fact that the uric acid bonds to fibers when it dries. Have you noticed that cat urine gets sticky when it dries? Stubborn stains can take up to three treatments but they will release. 5. When the area is COMPLETELY dry, then you can clean your item as usual if you desire, it will not be required though. For best results, wait to call the carpet cleaner until after everything dries. 1. Blot up as much of the wet urine as you can. If the urine has completely dried, skip this step. 2. Put the couch cushion in a plastic storage bin and soak the affected area with the enzyme cleaner extending beyond the original wet area by two inches. 4. Blot up the enzyme cleaner but don’t over blot. It should still feel moist or wet if the urine spot was completely dry before you found it. 5. If possible leave outside or in the garage to dry if you can put in two laundry baskets or figure out a way to allow it to get air without another cat deciding to mark on your cat’s original spot. So garage is typically best. Anything that loosely covers it so the cat does not re-mark while the enzymes do their work. Aluminum foil laid across the couch will discourage the cat from marking the couch while you wait for the cushion to dry. And it is convenient to have about in case of alien invasion. 2. Lift the mattress and cover the box spring, if you have one with aluminum foil or plastic. 3. Pour the enzyme cleaner directly, undiluted on the mattress. Soak the affected area with the enzyme cleaner extending beyond the original wet area by two inches. 4. Blot up the enzyme cleaner but don’t over blot. It should still feel moist if the stain was wet or wet if the urine spot was completely dry before you found it. 5. Cover the area loosely with several towels. 6. You can make the bed over the towels. 7. Leave the enzyme cleaner to air dry. 8. aluminum foil or plastic sheeting or a tarp can be placed over the bed can keep the cat from remarking while you are waiting for it to dry. 9. Change the towels on the drying spot daily for the first week or so and then every other day and then as needed. 10. If you can keep the cat out of the room, don’t make the bed over the towels so that the mattress dries faster. 11. If you need to sleep on the bed, put on a waterproof mattress pad on the bed over the towels but pop it off where the stain is in the morning to allow air to help the drying process. If you haven’t bought one in a while, they no longer are made out of crinkly plastic. 12. If you mattress is thick, it might take more than one time of treatment but you can get the smell out! You can try the steps for cleaning a couch cushion, but honestly unless it is a $400. pillow, maybe it’s just time for a new pillow? Wash all washable clothing, towels and linens. Wash up to three times. Do NOT put in the dryer until you are sure the smell is gone. Option 1: Treat with enzyme cleaner as if it is any other item prior to washing, complete with air drying. Option 2: Remember when I told you to NEVER, EVER, EVER TRY TO CLEAN UP CAT URINE WITH BLEACH.…. here is the exception to the rule. Add bleach to the hot water wash. Most washers add the bleach after you close the lid and the water dilutes the urine so the noxious fumes issue is null. I have found that even the most stubborn urine smells in clothing can be removed by going through a bleach wash three times. I have tried Oxi-clean it just didn’t work as well for me. If your item it not able to be bleached and you want to save it, like my daughters volleyball jersey, I used option number 1 and it came out beautifully. A high quality enzyme product like the ones listed above work! Follow the instructions for carpets or mattresses. If you need to use the car seat fter treatment, put down heavy duty aluminum foil and remove when the car is not in use. With laminate flooring, any spilled liquid has the potential to ruin the flooring. The best you can hope for is to catch it FAST! Wipe up any cat urine you can. Remember when I told you not to bother with spray bottles? This is when you want one. Spray the enzyme cleaner lightly over the affected area plus two inches paying special attention to the crevices where the laminate strips join each other. Wait 20 minutes and wipe up the laminate flooring removing the excess moisture. Put a fan in the room pointed at the affected area to help speed the drying process. Do NOT use a heater. Baked urine is not a pleasant smell. Just saying. Repeat until you no longer smell the urine. I do not guarantee this process will not hurt your flooring, you do it at your own risk like all of the other methods I have described in this guide. To me, laminate flooring that has soaked in cat urine is already ruined and it’s worth a try to see if it can be salvaged. When I treated my flooring, it did end up raising the lip of the joined seam of the laminate in a few places, but not noticeably so. Your laminate and experience may be different. Wipe up any cat urine, wet or dried. Douse the affected area with the enzyme cleaner paying special attention to the grout. Wait 20 minutes and wipe up the enzyme solution. some cats are partial to peeing on paper or plastic bins. It might be that it reminds them of their cat box. You can soak plastic items like toys in the enzyme solution and let dry but I recommend just tossing storage bins since they are so easy and inexpensive to replace. Now that you have cleaned up all of the urine, please visit our post on how to stop a cat from peeing inappropriately. I worked very hard with Dukey to resolve his inappropriate urination problems so he could get back to being the prefect cat! I’m happy to share how I retrained him to use the litter box here. Thank you very much for the advice on how to eliminate cat urine smell. I will not have this smelly problem again since I found your site. ← Is My Cat A Bengal Cat?